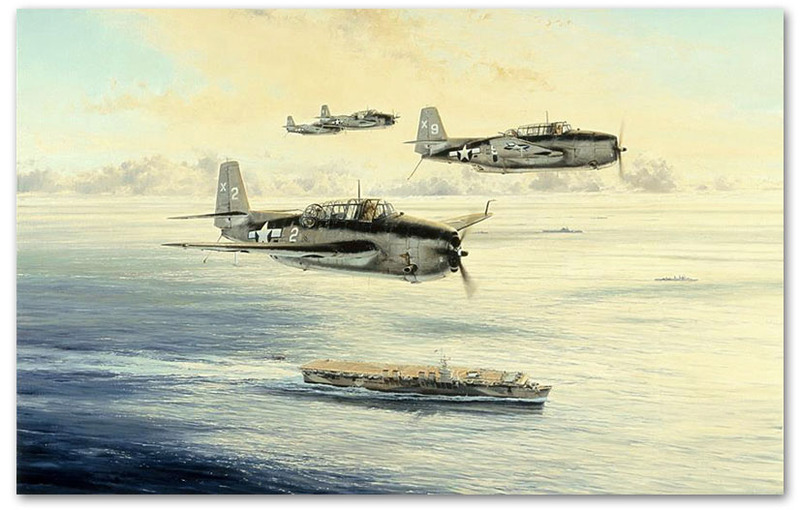 Robert Taylor’s iconic painting depicts LTJG George Bush as part of a formation of TBM Avengers from Torpedo Sqn 51 (VT-51) flying a low-holding pattern in preparation for landing aboard the USS San Jacinto in August 1944. Note: The Studio proof is supplied mounted on a stretcher frame as standard, but it is also available rolled. If you prefer this option please type 'Rolled' in the addittional comments section of our order form, or specify when calling us.